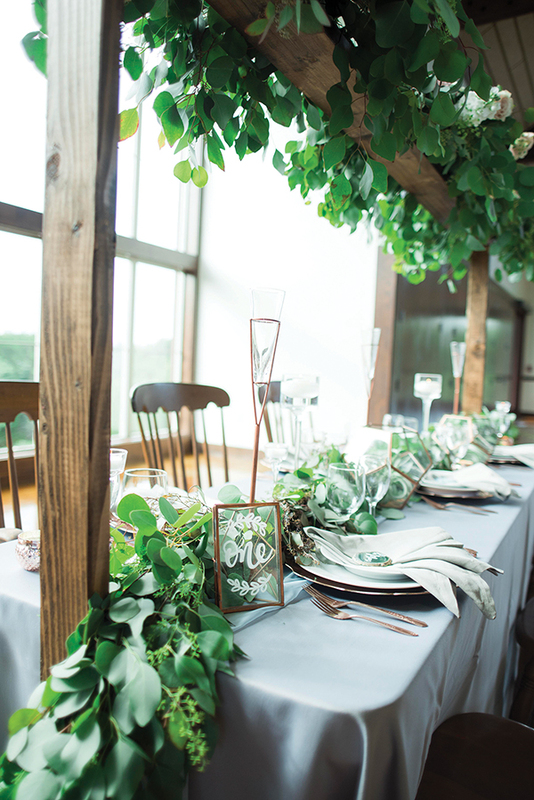 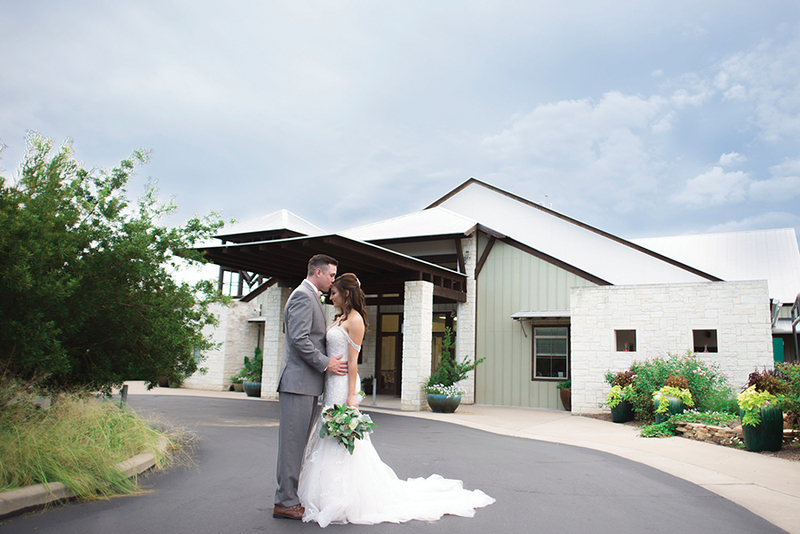 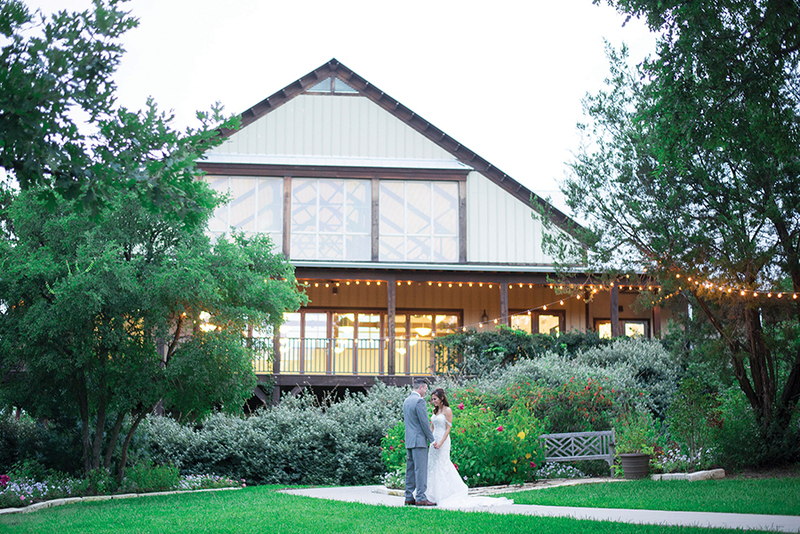 A local arboretum provided a greenery-filled backdrop for this nature-inspired styled shoot. 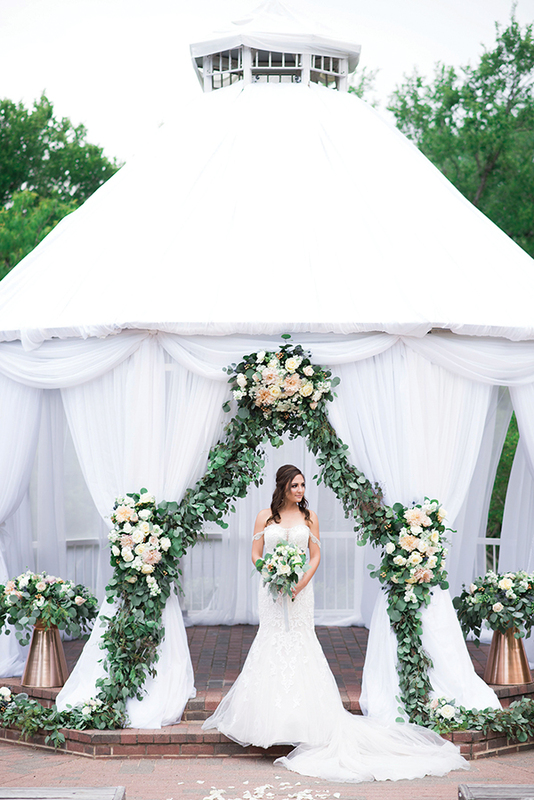 Instead of utilizing the venue’s gazebo, we invited a party rental company to drape the entire structure in flowy, white fabric. 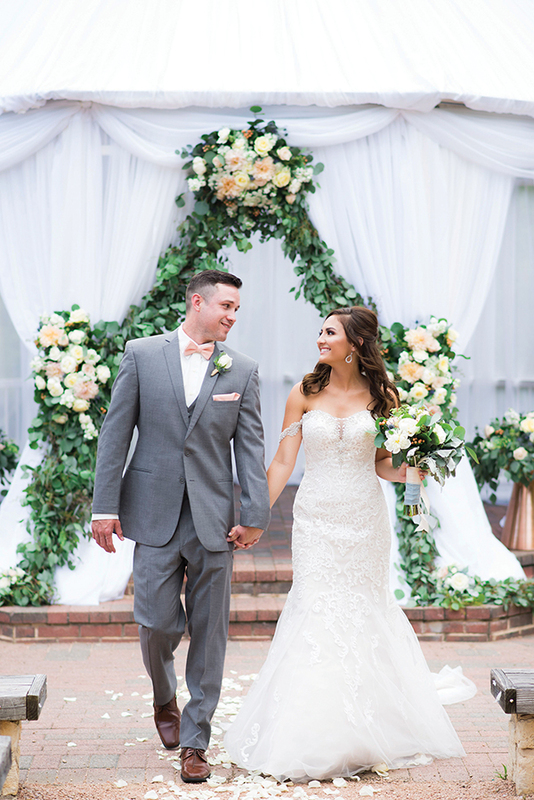 The look the draping accomplished was an ethereal, garden vibe that would make any bride feel like she was in a fairy tale. 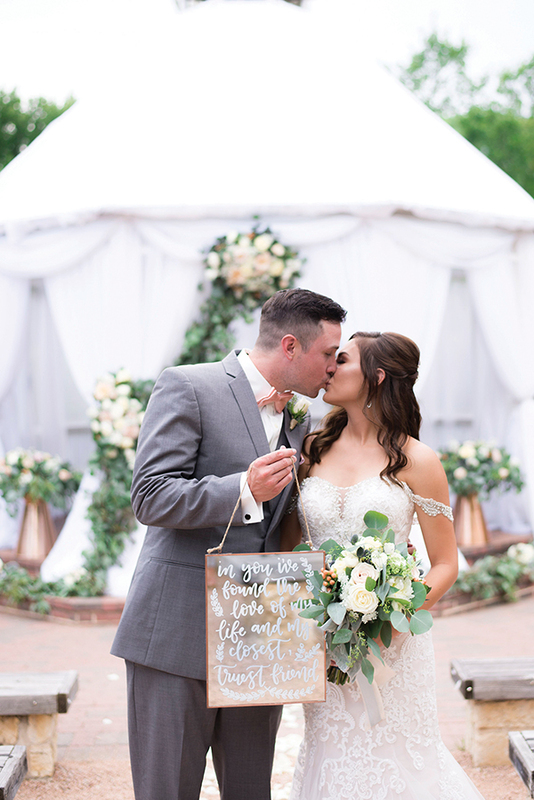 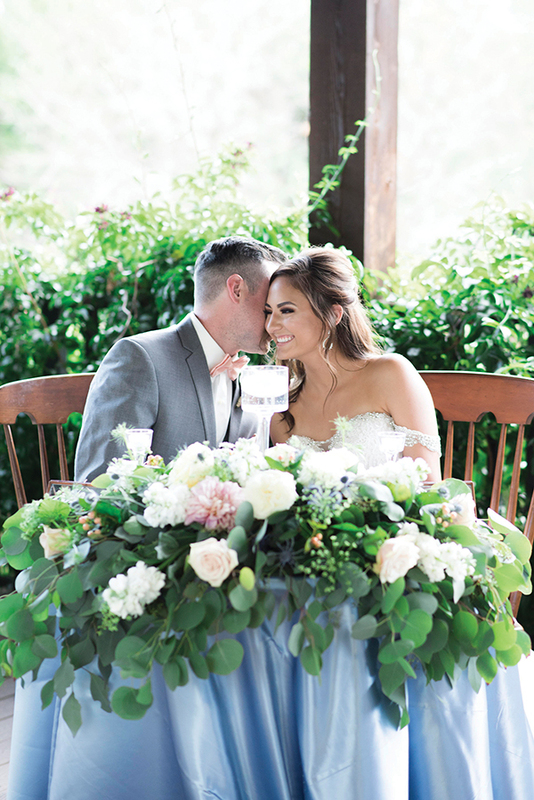 The floral arrangements included cascading eucalyptus and greenery that not only framed the entrance to the famous gazebo, but also provided a picturesque overhang over the center of the head table. 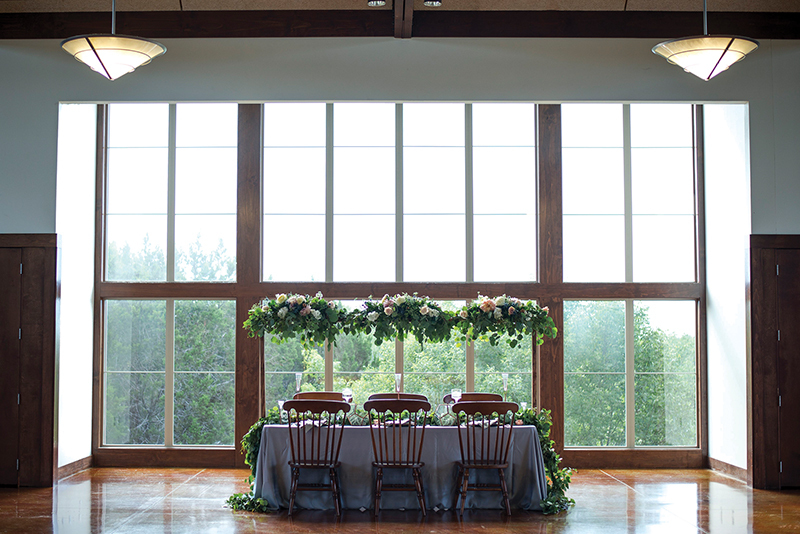 A simple DIY wooden frame, stained to match the arboretum’s elegant windows, provided the perfect place for the greenery to reside. 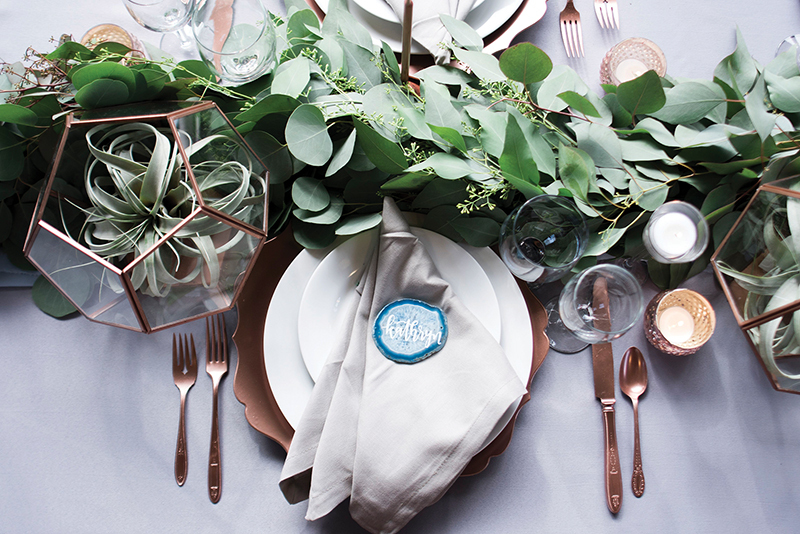 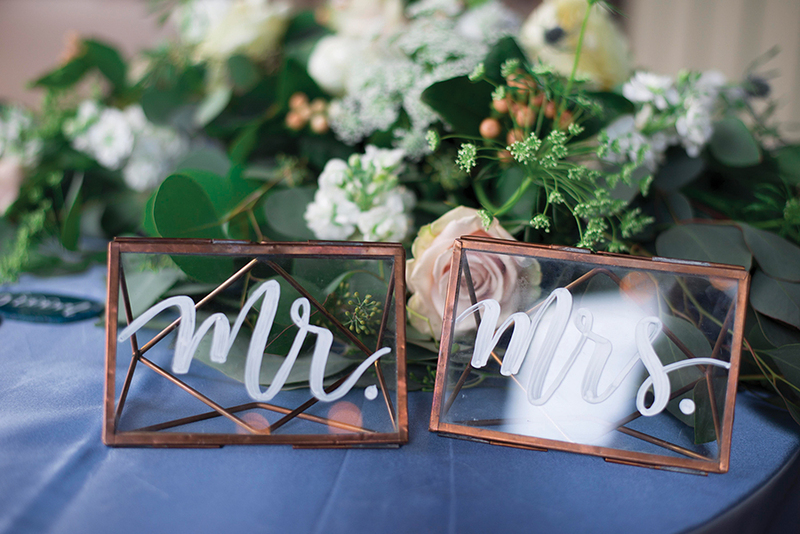 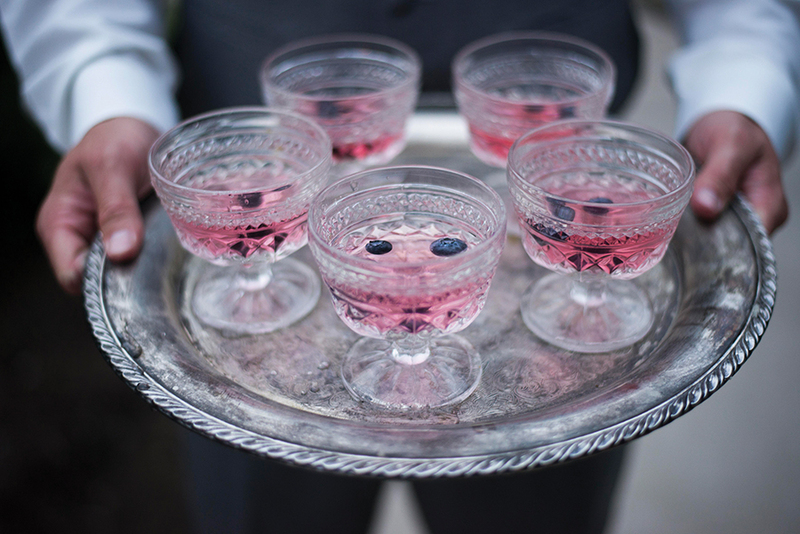 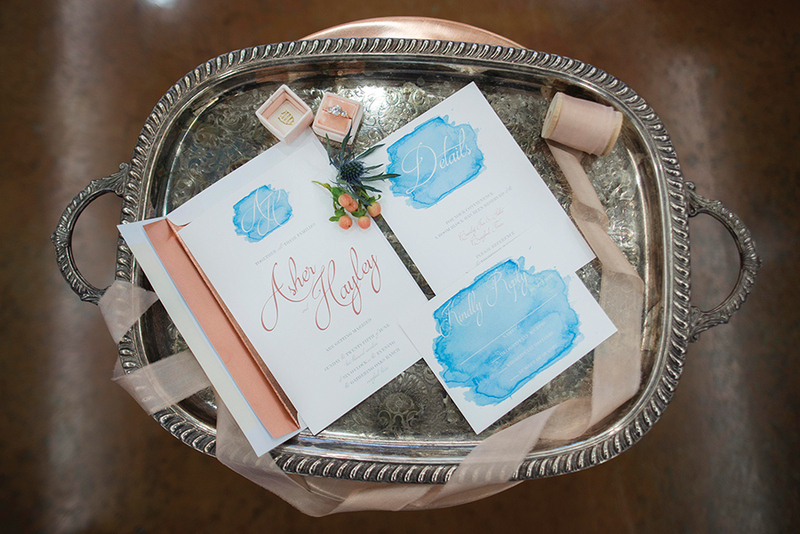 Each place setting was adorned with copper and dusty blue accents, including a small, sparkling geode that was adorned with the name of each guest. 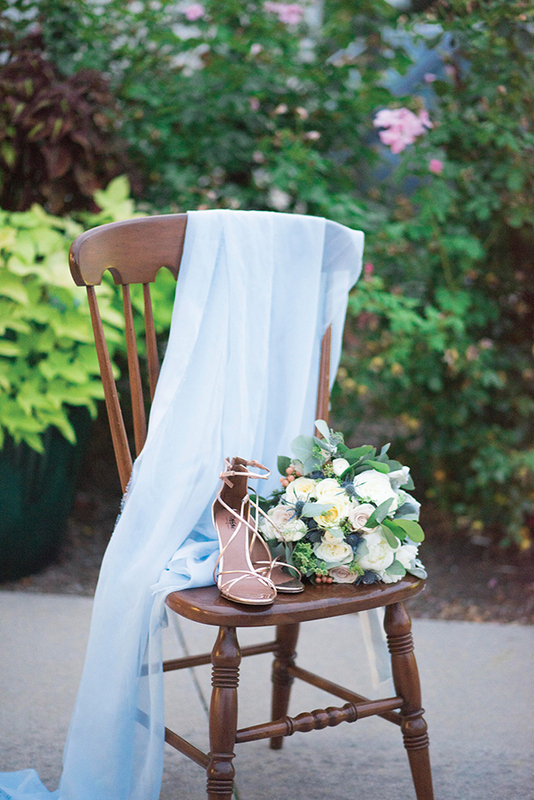 Although this was a simple touch, it created a stunning effect. 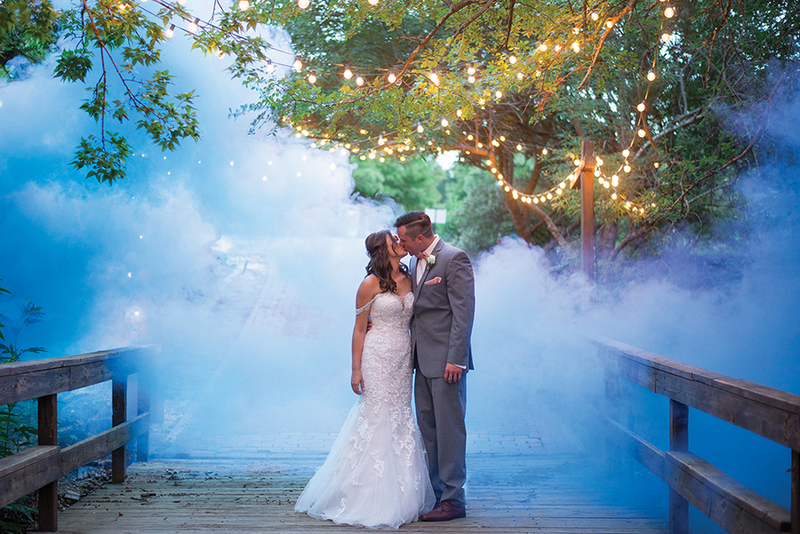 The couple celebrated their nuptials with colored smoke bombs to create a unique photo effect. 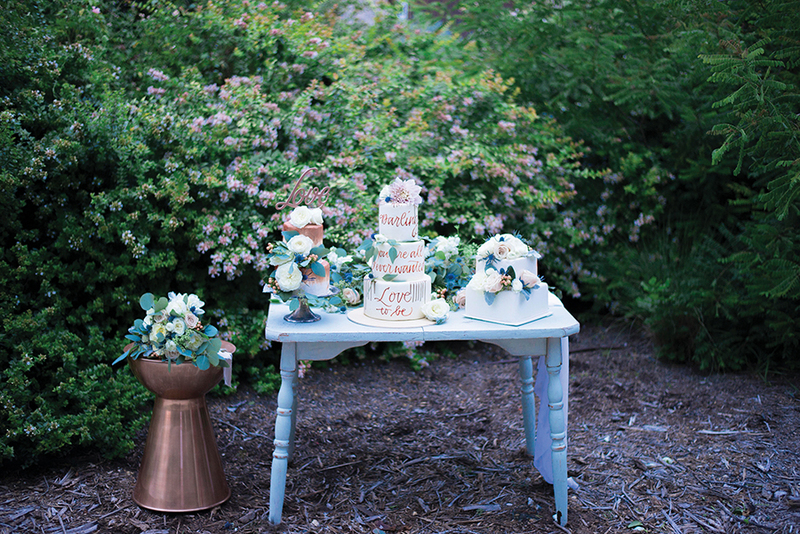 Not only did the dusty blue accent color make an appearance in the photos, but it also showed up in the nature-inspired cake designs that included texture-rich thistles and copper-colored calligraphy.